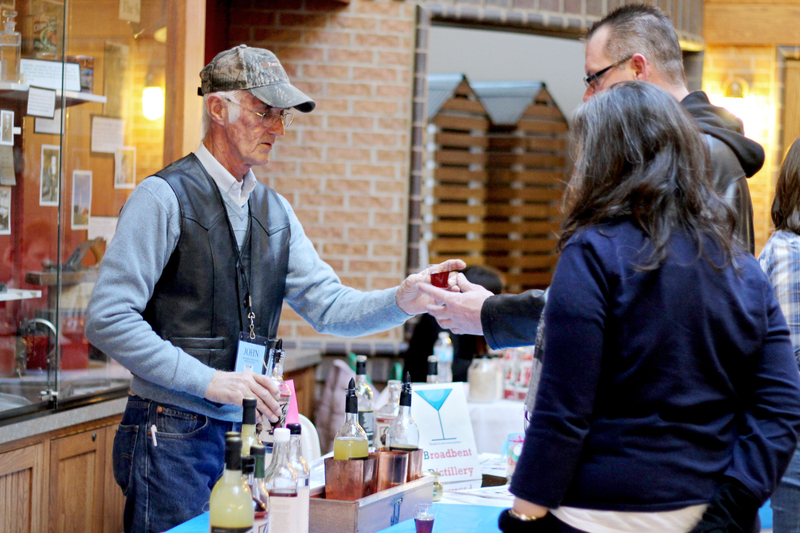 Broadbent Distillery has been involved in many events around Central Iowa. We have had tastings at local bars, grocery stores, and spirits events around the Des Moines, Iowa Area. Broadbent Distillery also offers private tasting events for business events, party events and holiday events. Contact us for pricing and more information on private tastings. To see our latest event Click Here. My friend and I came for a tour at your distillery 2 weeks ago. It was awesome! We were very impressed with all of your liquor especially the lemonade whiskey. We ended up buying 1 each. Since then I’ve been to 4 Hyvees in DSM and so far, no luck! I don’t see your brand on the shelves! Imagine my disappointment! I think I will have to come to Norwalk to get the lemonade whiskey. Would you have a list of where your product is at? Yes, your whiskey is that good. Thanks for your time! Hi Dawn, Thanks for coming out! Since Iowa is a control state, getting our products on the shelve is the challenge we have. Word of mouth and asking the spirits retailer manager is the best way. Most are happy to special order our products and if we get enough requests and positive feedback, hopefully they will put our products on the shelf. Please ask the spirits manager at your favorite store to order our products. All spirits retailers in Iowa have the ability to order our products and since we have started our business, we have never been out of stock at the ABD. Most spirits retailers are more than happy to support local Iowa businesses. If you continue to have problems finding our products you are always welcome to stop by the Distillery again! Just call the Distillery number (515)981-0011 – If I am here, I am open.